The Council’s principal investment to the partnership is land, which is matched in value with a cash injection from its partner, Morgan Sindall Investments Ltd. The Partnership is based on a 50/50 share in the assets, the partnership and the profits arising. 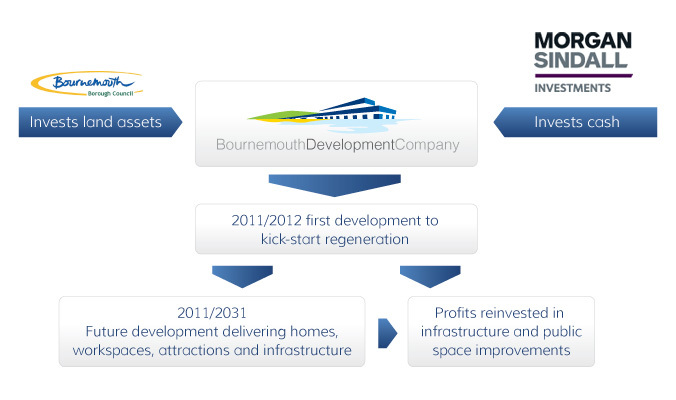 The partnership starts with one development, profits from that enable the next and so the chain continues – with a share of the profits reinvested in new sites, infrastructure and open spaces. Each development will fit with the aims of the Town Centre Vision and will be regulated through the democratic planning process.